In central HVAC systems, cooling systems based on indirect evaporative cooling are becoming increasingly important. Experts say that in Germany approximately 10% of the roughly 25,000 new HVAC systems produced each year are equipped with this environmentally friendly cooling technology, and that this trend is increasing. Using a free calculation tool, expert planners and plant engineers can very easily determine the energy-related and environmental benefits as well as the real performance scores and seasonal performance factors of evaporative cooling for individual projects down to the decimal point. To date, the cooling and dehumidification of warm outside air to supply air levels in central HVAC systems has usually been carried out through the operation of mechanical water cooling units that work with synthetic cooling agents. The aim of indirect evaporative cooling consists in taking on the largest possible proportion of this cooling task through the use of evaporated water and thus reducing the load on the cold water unit. As a result, electrical energy consumption and CO2 emissions as well as environmentally harmful cooling agent emissions from cooling systems in the surrounding area are reduced. Thus, evaporative cooling for air cooling in HVAC systems can play a major role in saving energy and protecting the environment. In indirect evaporative cooling, the exhaust air removed from the building is humidified as closely as possible to the 100% saturation point. In the process, the air is cooled by 2.5 K per g of water absorbed per kg of air. The exhaust air that has been cooled by approx. 8 to 10 K then flows through heat recovery in the HVAC system and can then absorb a significantly greater amount of heat from the warm outside air. As a result, following heat recovery in the cooler of the chiller, the outside air requires far less after cooling to reach a desired supply air temperature of, e.g., 19°C. In many cases, evaporative cooling can substitute over 50% of the cold work that would otherwise have to be mechanically produced during the cooling period and result in significant operating cost savings. This will be shown in the examples to follow. The performance capacity of an evaporative cooling depends on many influencing variables. For a maximum cooling effect, the exhaust air should be humidified as closely as possible to 100% relative humidity. 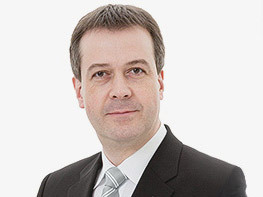 Good systems, such as the “ME” by Condair GmbH, Garching, reach values of up to 97%. The more efficient the heat recovery in the HVAC system is (heat recovery rate φ), the more heat the exhaust air that has been cooled in evaporative cooling can extract from the warm outside air. The environmental design directive for HVAC systems, in force since 2016, has a positive impact in this regard: Depending on the model of heat recovery, it demands good heat recovery rates of at least 63% for HVAC systems. The drier the exhaust air is, the more heavily it can be humidified and cooled. Using evaporative cooling, exhaust air at a temperature between 24 und 28°C and humidity of 95% RH can be cooled down by approx. 9 K (exhaust air humidity 30%) or approx. 5 K (exhaust air humidity 60%). The drier the exhaust air is, the higher the evaporative cooling performance. The greater the difference between the outside air temperature and the exhaust air temperature, and the better the heat recovery rate of the heat recovery, the more heat the cool exhaust air can extract from the warm outside air. If the exhaust air has a temperature of 18°C after evaporative cooling, for example, it can cool outside air at a temperature of 32°C by between approx. 9 K (heat recovery rate 0.65) and 11.5 K (heat recovery rate 0.80). Mechanical cold water units that are used for HVAC systems need approx. 1 kWh electrical work per 3 to 4 kWh cold work to produce cold water. In Germany, each kWh of electricity is loaded with approx. 0.5 kg CO2 (electricity mixture factors made up of nuclear power, power stations and regenerative energies). If the electrical work of water cooling units is reduced by evaporative cooling systems, CO2 emissions are also avoided as a result. An additional environmental effect comes into the equation. A chiller requires 1 kg of cooling agent in its cooling cycle for every 3 to 4 kW of cooling performance. As soon as this quantity of cooling agent is leaked into the environment from the cooling cycle through low-quantity leakages, this corresponds to environmental damage of approx. 1,400 to 2,100 kg CO2 (based on present-day cooling agents). Cold water units have leak rates of approx. 4 to 5% of the fill volume per year. 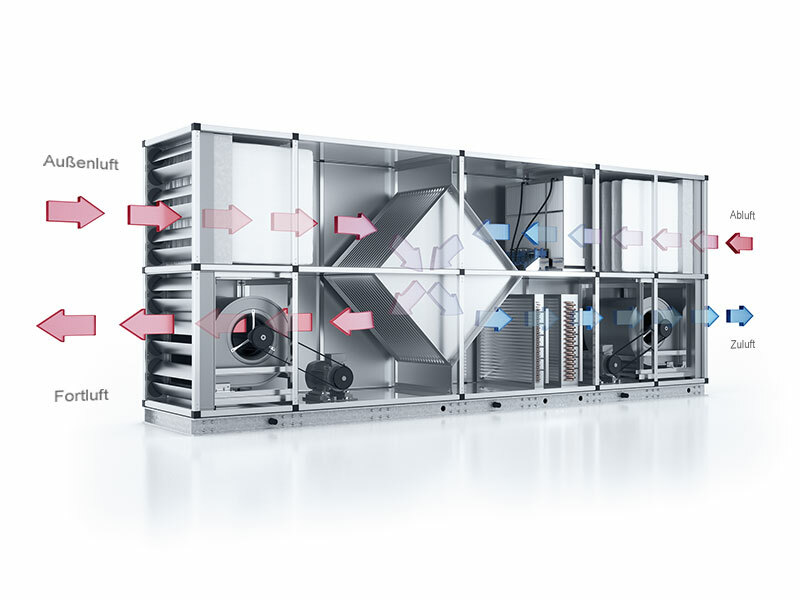 If due to evaporative cooling systems the chillers can be made in smaller sizes and operated using lower quantities of cooling agent, cooling agent emissions that contribute to the greenhouse effect will also be reduced. In the EEWärmeG (Renewable Energies Heat Act), all heating and cooling currents that pass from exhaust air to supply air during the heat recovery of a HVAC system are considered regenerative energies and can be credited against the EEWärmeG balance sheet. This also applies to the cold work generated by an evaporative cooling. Comprises entering the project site and all required operational data (usage times, target temperature and humidity values). 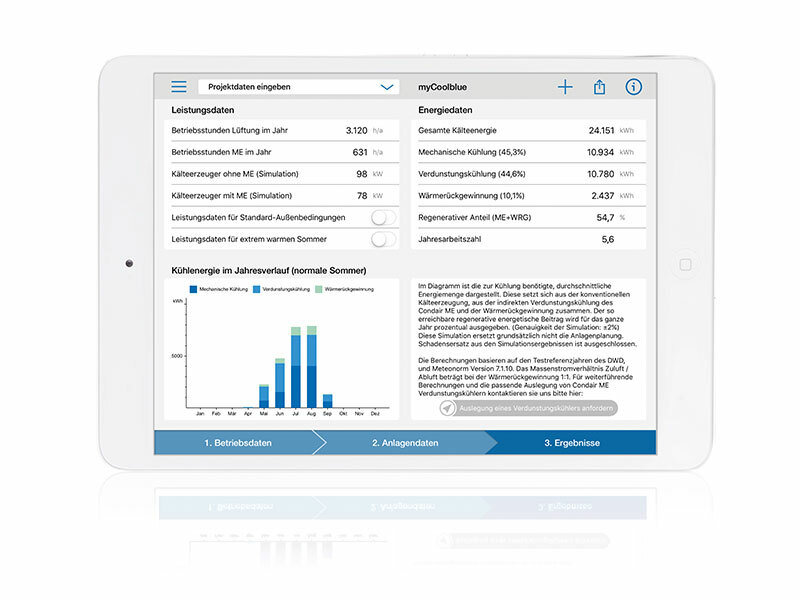 The trends over the course of the year of outside temperatures and enthalpies for 15 German climatic regions and over 300 international cities are saved in the app. These can be selected from a map of the world or a menu. The specifications of the standard design conditions are based on VDI (Association of German Engineers) 4710 (t, x correlations) and on Meteonorm weather data. Relates to the input of the system data. These are the air volume current, the forecast measurements of the HVAC system, the heat recovery system, effectiveness grade and pressure increases of the ventilators and the component layout in the HVAC system. Case 1: An annual simulation for normal Summer (average values for 10 years) for the average anticipated energetic contribution of the evaporative cooling and the evaluation of cost-effectiveness. In this case, it should be ensured that the results represent an average value for the period under observation and thus present a “synthetic” annual trend. Case 2: A annual simulation with an extremely warm Summer for sizing the evaporative cooling and cold water generator to cover the maximum potential cooling requirement. In this case, a year within the observation period with particularly warm Summer temperatures is selected and thus corresponds to the foreseeable extreme values which should be taken into consideration in the case of sensitive requirements. Case 3: Performance sizing for standard external conditions only in accordance with VDI (Association of German Engineers) 4710 or comparable design conditions based on Meteonorm weather data, but without annual simulation. A seasonal performance factor is also shown in the results. This is the result of the relationship between the cold work generated by the evaporative cooling and the pump work required for the evaporation water and the ventilator work to overcome the air-side loss of pressure of the evaporative cooling system. Based on the data, a PDF file is generated that can be printed out for the project or sent by email. Using the app, it takes only a few seconds to calculate and represent several variants, e.g. a change of air volume currents, temperatures, type of heat recovery, effectiveness grade of the ventilators, layout of components in the HVAC system, maximum permissible humidity in the area or on the site. Thus, the simulation results of the app offer an optimum basis for obtaining realistic calculations and estimations of the potential and performance of evaporative cooling, that can often vary significantly between one project and another. 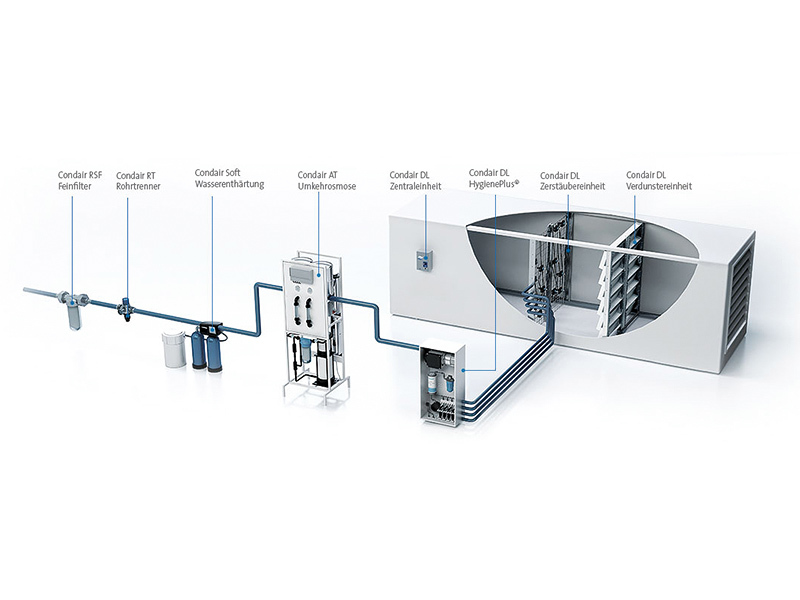 To clarify the performance of the evaporative cooling, this project is positioned at various German and international sites with hot, cool, humid and dry climates. These variations of the site and the output of the corresponding results take only a few seconds using the app. The values in table 1 show several key tendencies for evaporative cooling: At moderate and warm sites (Mannheim, Potsdam, Essen, Rostock), the evaporative cooling delivers between 44 and 51% of the required annual cold work for air cooling. At the cool Fichtelberg site, although the percentage proportion of 78% is higher, the absolute value of the cold work required in the first place is very low. At sites which are rather dry, but hot in Summer (Madrid, Riyadh, Las Vegas), the evaporative cooling reaches values of 52 to 75% of the annual cold work — at high to very high seasonal performance factors. However, this trend declines the more humid the site becomes (Chicago, Colombo): Here, the proportion of evaporative cooling on the annual cold work is only between 10 and 29%. However, at tropical sites such as Colombo, the evaporative cooling remains operational all year round. Here, the evaporative cooling takes on the task of pre-cooling the outside air. In order to then condition to the required air humidity and supply air temperature (especially dehumidification! 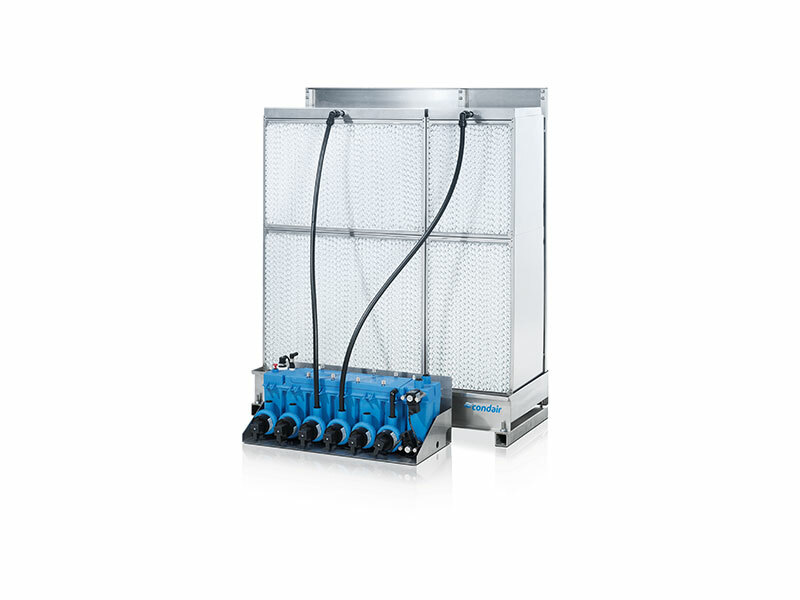 ), the mechanical cooling machines must deliver high performance at low water flow temperatures. Besides the many environmental benefits of an indirect evaporative cooling, the cost effectiveness of such a cooling solution also plays an important role. Any additional costs incurred in the purchase should be re-compensated by the savings made on operating costs compared to mechanical cooling systems. Based on the previously explained very many site-specific and operationally-dependent factors, each air conditioning and cooling project should be inspected individually with regard to the cost effectiveness of the evaporative cooling. In this regard, beyond the parameters described above, the actual project-specific electricity and water expenses also play a key role. As a general rule, however, the evaporative cooling should not be regarded independently, rather as a combined system together with heat recovery, since without this, the adoption of indirect evaporative cooling is physically impossible. The amortization period of the combination with the heat recovery is extended by an insignificant amount through the use of the evaporative cooling. Therefore, the bandwidth of possible amortization periods is large and should be determined for each project individually. Manufacturers of evaporative cooling systems offer customers such cost effectiveness calculations. However, possible variations in design can also be run through and calculated from an energy viewpoint in advance using the simulation app. • dry sites that are warm in the Summer. However, evaporative cooling is not intended to take on building cooling single-handedly. Only in very few projects, e.g. at sites that are cool in the Summer, is it capable of fully replacing a chiller. Therefore, the evaporative cooling should be regarded mainly as a basic environmental system for pre-cooling of the outside air. The cold water unit, of which a lower-performance and therefore cheaper model can then be selected, takes over the residual or peak load. Evaporative cooling means that in almost all projects, significant savings can be made in cold work to be carried out in a conventional manner. In some cases, under an acceptance of physical limitations, a simple evaporative cooling can even be used, making mechanical cooling systems completely unnecessary.